When held side-by-side with the HTC Surround, there are virtually no changes to the way WP7 works on the Quantum — and that's the way Microsoft wants it. Pressing the lock key wakes the display and shows a lock screen. 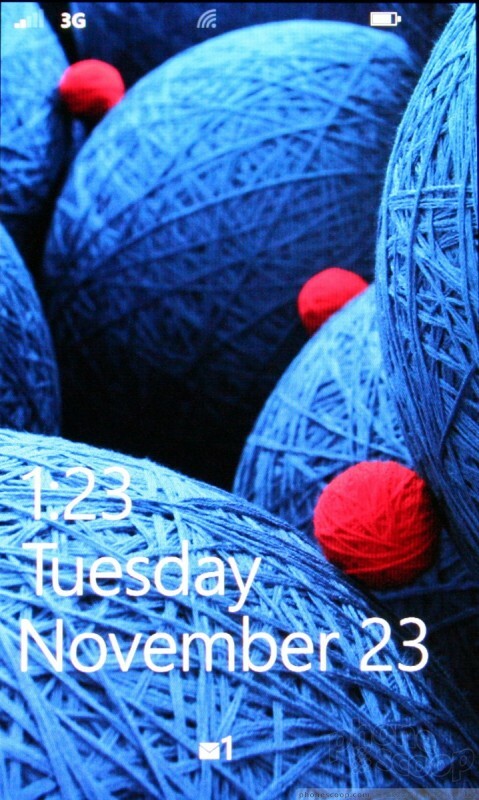 From the lock screen, users can see the time and date, as well as the number of missed calls, text messages and emails at the bottom of the screen. Swipe from the bottom to the top to unlock the display. There are three main navigation buttons that will appear on every WP7 device, and they must appear in the same order: Back, Home, and Search. The Back key takes you back one screen, the Home key takes you back to the Start page, and the Search key opens the Bing search application. (Bing Search is contextual, meaning it adapts to whatever you happen to be doing. For example, if ou're in your inbox and hit the Search button, Bing will search through your inbox. 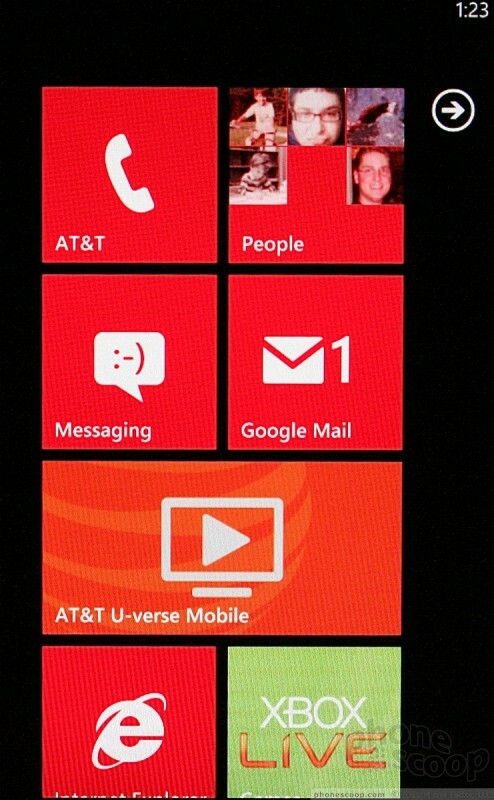 The WP7 home screen makes use of "live tiles" for all its systems and content. Flicking up or down lets you sort through the tiles. The tiles can be dragged to different places, or deleted altogether. Users can swipe the screen to the left to access the full, main menu. The main menu displays a huge, long list of all the apps and features, single file. Again, you can flick it quickly up and down to find what you need, as well as pin any of these apps to the home screen. 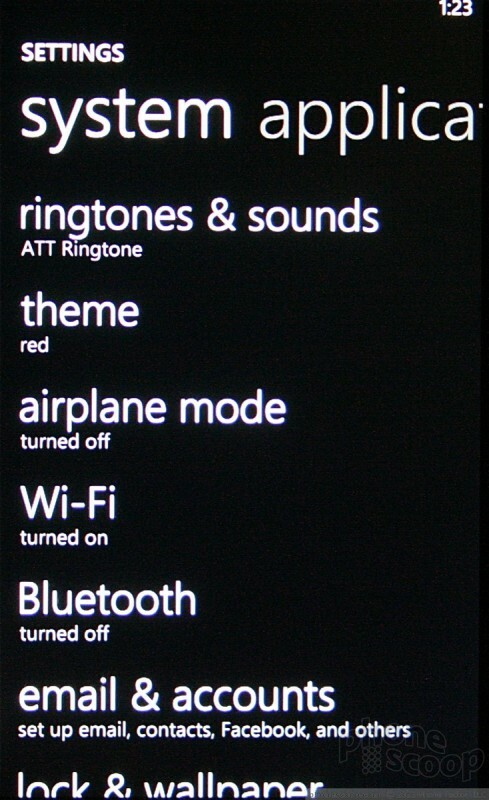 WP7 also makes use of Hubs. The Hubs are for large collections of content, such as Pictures and Music/Video. Once you've opened a Hub, you keep swiping to the left to drill down deeper into that Hub. Some apps allow for adjustments and others don't. You'll know the application can be adjusted when you see a little icon tray at the bottom of the screen, accompanied by three little dots. As with the other WP7 devices, the Quantum has limited support for landscape orientation. For example, turning the phone on its side from the home screen does nothing. The menu doesn't reorient itself. It's the same in many other apps. Landscape support is inconsistent and it takes time and patience to learn which apps and screens support it and which don't. What's worse, opening the keyboard won't automatically re-orient the screen — you need to be within an application that can handle a screen switch, such as the browser, or email program. After a day of trying to remember what screens and apps work in landscape and which don't, I gave up. I simply always used the Quantum in portrait mode and ignored the physical QWERTY. If that's the route you end up taking, may as well buy the Samsung Focus, instead. LG had admitted that while it is not abandoning Microsoft's smartphone platform, it isn't actively developing any new models that will run Windows Phone. "Although we currently don’t have a new Windows device in the pipeline, that is simply because demand for Android devices is so strong," said LG in a statement provided to AllThingsD. 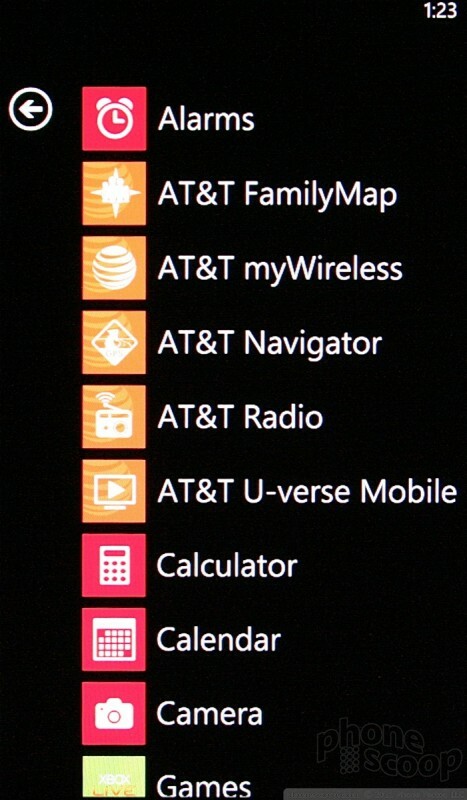 Microsoft has provided an update to the status of AT&T's Windows Phone 7 devices and the NoDo update. According to the Windows Phone Blog, the LG Quantum and Samsung Focus have passed the testing phase and are now in the scheduling phase. Microsoft's Joe Belifiore today admitted that the system updates offered to Windows Phone 7 devices so far have fallen short of the company's expectations. "We had expected it to be earlier than now," said Belfiore at Microsoft's MIX 2011 conference in Las Vegas.